Master degree in any discipline with at least 55% marks or its equivalent grade ‘B’ in the UGC 7 point scale from a recognized University/ Institute. (i) At least 15 years experience as Assistant Professor in the AGP of Rs. 7000/- and above or with 8 years of service in AGP of Rs. 8000/- and above including Associate Professor along with experience in educational administration. (ii) Comparable experience in research establishment and/or other Institute of higher education. (iii) 15 years of administrative experience of which 8 years shall be as Deputy Registrar or equivalent. (ii) Experience in handling computerized administrative/legal/financial/ establishment matters. Master degree in Engineering/Business Administration/Science/Arts/Commerce with at least 55% marks or its equivalent grade ‘B’ in the UGC 7 points scale from a recognized University/Institute with excellent academic record. Employees of the Institute serving as Superintendent SG II or Secretary (Selection Grade II) for at least 6 years at grade pay Rs. 4800/- or higher with Master’s degree and exemplary performance record. Age bar not applicable, no relaxation in educational qualification. (ii) Experience in handling computerized administration/legal/financial/establishment matters. (iii) A chartered or Cost Accountant degree or diploma for the post of Assistant Registrar (Finance and Accounts). (i) Master’s degree in Library Science/Information science/Documentation with CGPA of 6.5 in 10 point scale or at least 60% of the marks or its equivalent grade of ‘B’ in the UGC ‘7’ point scale and a consistently good academic record. (ii) Ten years experience as Assistant University Librarian, out of which at least 5 years to be in the post with AGP Rs. 7000/- or an equivalent post. (iii) Experience of innovative library service and organization of published work and professional commitment, computerized of library. Completed applications along with all necessary documents and demand draft of Rs. 500/- payable in favour of Director, MANIT, Bhopal, should reach in the office of Director, MANIT, Bhopal – 452051 (M. P.) on or before 22.10.2012.
ii) Valid First Aid Certificate. iii) Diploma in Mining Engg. , with 2 years experience in large underground metalliferous Mines. iii) Matric with 4 years experience in large underground metalliferous mines out of which atleast one year in supervisory capacity. Planning and coordination abilities, initiative, leadership and good control over labour essential. 10/- to deposit the exam fee) To be paid by applicant in additional way. contractual engagement basis and may extend upto three years. Researcher, Researcher, Senior Anchor, Consultant Anchor, Anchor, Junior Anchor, Consultant (Input), Senior Cameraperson, Cameraperson, Video Editor, Senior Graphics Artist, Graphics artist (Online and Offline), Guest Coordinator, Front Office Executive. Qualification : See the detailed advertisement which link is given below. Recruitment for Handicapped under Backlog quota. LAST DATE FOR RECEIPT OF DOWNLOADED REGISTERED OR PHYSICAL APPLICATION FORM IS 25.10.2012. (a) Gen. Hindi & compreshension-10, General Knowledge-15, Reasoning-15, Logical Deduction-15, English language & Comprehension-10, Numerical Ability-15, Concerned subject-120 marks. The duration of exam shall be 03 hrs. (b) ¼ Mark will be deducted against each wrong answer. (i) Assistant Engineer(T) for Group Discussion and interview. (ii) Junior Engineer(T) for Interview. (iii) Office Assistant-III for Typing test and Interview. Following qualifications for different posts are required to be completed on or before 30.11.2012, i.e. the results/mark-sheet/provisional certificate/degree be issued by this date. (a) Thorough Knowledge of Hindi in Devnagari Script. If the candidate has not passed High School or equivalent examination in Hindi, he/she has to clear an exam conducted by the Registrar, Departmental Examination Govt. of UP within 3 years of joining. recognized by State Govt. OR conducted by any of the Universities in India incorporated by any act of the Central/State legislature or by UGC OR Section “A” and “B” of the Associate Membership of the Institution of Engineers (India). (b) 03 Years Diploma examination in Electrical Engineering (Post code 12) Mechanical Engineering (Post code 13) and Electronics Engineering (Post code 14), ( The word Electrical or Mechanical or Electronics as per the post code has to be essentially there in Diploma certificates will only be eligible to apply) from a institute recognized by the Central/ State Govt./ Legislature. OR conducted by the “All India Council for Technical Education”, Government of India, Delhi Polytechnic OR conducted by any of the Universities in India incorporated by any act of the Central/State legislature. OR National Certificates awarded by the “All India Council for Technical Education” Government of India” OR Final Examination held by the State Board of Technical Education, Uttar Pradesh for 02 years Diploma courses in Mechanical Engineering (Machine Tools Technology,) Electrical Engineering (Electrical Technology) and Electronics in respect of students trained at the under mentioned institutions: (i) Government Polytechnic, Lucknow. (ii) National Polytechnic, Nainital. (a) Graduate degree from any recognized University. (b) Typing speed in Hindi or English on computer with 35 or 40 wpm. respectively with knowledge of MS word and MS excel in computer field. The original marksheet alongwith Degree or provisional certificate shall have to be produced at the time of interview, failing which the candidature shall be rejected. CHAUDHARY CHARAN SINGH HARYANA AGRICULTURAL UNIVERSITY, HISAR. Note:- The posts at Sr. No. 1 and 2 will be filled on tenurial basis for a period of 4 years only. However, no Dean/Director/Registrar shall be given second term. Even those applicants who have already served one term in any other University will not be considered. Provided further that where a person has already worked as Dean/Director/Registrar in the past, that period will be reduced from his/her term of 4 years, if it exceeds 90 days. 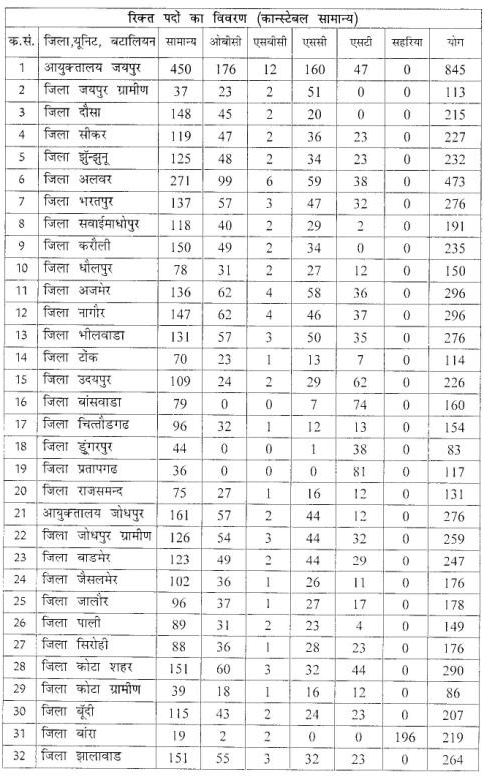 SC/BC of Haryana) for the posts at Sr. No. 1 to 18 and Rs.400/- (Rs.100/- for SC/BC/Persons with Disabilities of Haryana) for the posts at Sr. No. 19 to 21 drawn in favour of “The Registrar, CCS HAU, Hisar” and payable at Hisar should be attached with each application form. No amount will be accepted through cheque, cash, money-order or postal-order. Applications are invited from individuals who would enjoy the excitement of setting up ‘A world Class Education & Research Institution’. The positions are available at Professor, Associate Professor, Assistant Professor in the regular cadre and Assistant Professor (on Contract) basis. Other positions available are: Distinguished Faculty, Adjunct Faculty, Honorary Faculty, Visiting Faculty, Joint Appointment with Industry, Faculty on Deputation, and Faculty on Contract. These ‘other’ positions do not necessarily require a PhD, but experience is given a big credit. Emoluments for these will be decided liberally and on a case to case basis. Post : Professor, Associate Professor, Assistant Professor and Assistant Professor (on Contract) basis. The form duly filled should be sent only by post or electronic mail (e-mail) at the address given below. A hard copy can also be sent but it should conform to the format specified in the application form. The applications should be sent in an A-4 size envelope super scribed as ‘Application for the Post of ……..in RGIPT’. Applications received up to 15th November 2012 will be considered for the first phase of recruitment. For Tax Assistant : Degree of a recognized university or equivalent and Having Data Entry speed of 8000 key depression per hour. For Stenographers Grade II : 12th Class pass or equivalent from a recognized board or university. 65 Words Per Minute (Hindi) "Only on Computers"
Educational Qualification : Graduate in any discipline with 50% marks OR equivalent qualification from the University/Institute recognized by the Govt. of India and working knowledge of MS Office. issued by IBPS, Mumbai , of Common Written Examination conducted in the year 2011 , for recruitment in clerical cadre in 19 Public Sector banks. Cut off list for TWSS/Subject wise can be viewed on detailed advertisement of PNB which url is given below. the selection procedure, if necessary. marks to qualify in the Personal Interview. JHARKHAND HIGH COURT, RANCHI Requires Assistant, Asst. Librarian, Cashier, Typist, Legal Asst. Posts with Salary : (i) Assistants (Post Code 01) - Pay scale of Rs. 9300-34800/- with grade pay of Rs.4600/- (plus other usual allowances as per rule). 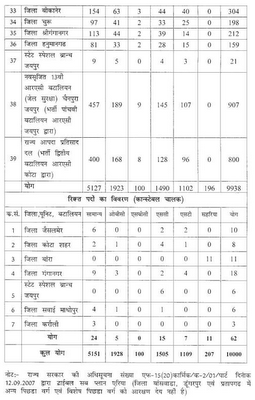 (ii) Assistant Librarian (Post Code 02)- Pay scale of Rs. 9300-34800/- with grade pay of Rs. 4200/-(plus other usual allowances as per rule). (plus other usual allowances as per rule). other usual allowances as per rule). Rs.4600/- (plus other usual allowances as per rule). For Post code 02 :- Graduate and Degree in Library Science from a University. For Post Code 03 :- Commerce/Economics Graduate from a University. minute in English and/or 30 words per minute in Hindi. experience of at least three years practice as a Lawyer. E.B.C. & B.C.) 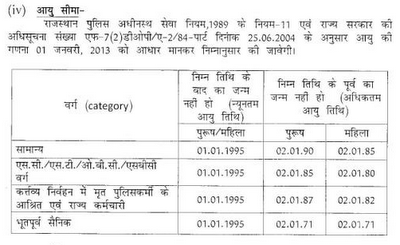 and 40 years in case of S.C./S.T/PH Category. in case of E.B.C(B.C-I) & B.C(B.C-II). 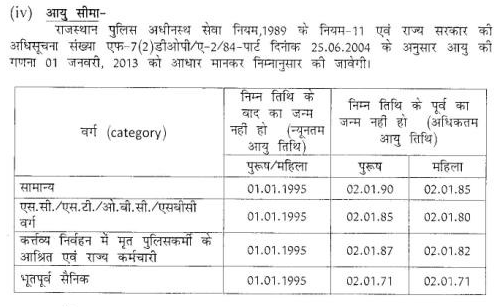 Category and 40 years in case of S.C./S.T/PH. Registered post/Speed post only. The last date for receipt of application is 09.11.2012. Post : PGT (English, Physics, Maths, Economics, Physical Education, History). TGT (Physics, Chemistry, Biology, Maths, Pol Science, English) & PRTs. Selection Process :- Written test + Interview + Teaching Skills + Computer Test. Selection will be done through Combined Screening Board (written test) conducted by Army Welfare Education Society in all Army Public Schools on 09 Dec 2012. Successful candidates will get an “AWES Score Card” valid for all Army Public Schools, Selected candidates who opt for Army Public School, Allahabad will be interviewed at Army Public School, Allahabad. SALARY : As per approved scale. ELIGIBILITY : Minimum qualifications strictly as per CBSE. B.Ed is mandatory for all categories of teachers. Age : Below 40 years. Relaxations permissible for teachers with experience as per rules of AWES. All candidates required to be CTET/TET qualified. Candidates appearing for CTET/TET November 2012 are eligible to appear in Combined Screening Board. FORMS ARE AVAILABLE AT ARMY PUBLIC SCHOOL, ALLAHABAD at nominal cost of Rs. 10/- between 0900 to 1300 hrs on all working days. Submit the application forms along with a demand draft of Rs. 165/- in favour of Army Public School Allahabad and attested testimonials (academic & experience). Last date for submitting applications - 15 Oct 2012. How To Apply : The Filled Application, affixed with a recent Passport Size Photograph pasted on the Upper Right Corner and duly Attested by a Gazetted Officer along with the Fees and Attested Copies of all the relevant Certificates etc. should reach the Director, National Institute of Ayurveda, Jorawar Singh Gate, Amer Road, Jaipur 302002 by 30th October 2012. (ii) Dates for on-line registration of Applications from 20.09.2012 to 18.10.2012 (23.59 hours). (iii) The last date of application/update of challan receipt is 20.10.2012. (iv) Last date of deposit of Applications Fee is 20.10.2012. (vi) Helpline Desks: 0172-2755587 from 0900-1700 hours on all working days. (ii) Dates for on-line registration of Applications from 25.09.2012 to 25.10.2012 (23.59 hours). (iii) Last date of deposit of Application Fee is 27.10.2012. (iv) Date for Downloading of Admit Card etc. will be uploaded on website. (v) Helpline Desks : 0172-2755587 from 0900-1700 hours on all working days. Essential Qualification : 10th Standard with ITI Certificate in the respective trade. Competitive Examination during that year. (a) Diploma in coaching from SAI / NS-NIS or from any other recognized Indian / Foreign University. (b) Participation in Asian Games/World Championship with Certificate Course in Coaching. Minimum Educational Qualification:- Graduate in the relevant Engineering discipline i.e. Civil/ Mechanical/ Electrical/ Architecture/ Metallurgy or Chemical/ Electronics & Telecommunication Engineering with 60% marks (50% for SC/ST/OBC candidates) from a AICTE/Govt. approved University/Institute. For IT Discipline, Graduate Degree in Engineering in Computer Science/ Information Technology, or, Full time Masters in Computer Applications (MCA) with 60% marks (50% for SC/ST/OBC candidates) from a AICTE/Govt. approved University/Institute. NALCO will be utilizing Graduate Aptitude Test in Engineering- 2013 scores(GATE-2013 scores) for recruitment of Graduate Engineer Trainees(GETs) in the above disciplines. Only GATE-2013 score is valid for this recruitment process. Based on the GATE-2013 score and organisational requirement, candidates will be short listed for the Personal Interview. Selected candidates will be placed in the pay scale of `16400 - 3% - 40500/- during one-year training. Upon successful completion of training i.e. subject to fulfilling the required performance related/other criterion of the Company in force & amended from time to time, they will be absorbed as Jr. Manager at E1 grade in the pay scale of ` 24900-3%-50500/-. Service Agreement Bond The selected candidates at the time of joining will be required to sign a contract of apprenticeship in accordance with the Apprenticeship Act and will also be required to execute a service agreement bond of `3,00,000/- or `4,00,000/-(for training imparted abroad) on non-judicial stamp paper of `1500/- to serve the Company for a minimum period of 4 (four) years after successful completion of one year training. GATE-2013 on-line examination is scheduled on 20th January 2013. GATE-2013 off-line examination is scheduled on 10th February 2013. For detailed information on GATE-2013, interested candidates may log on to www.gate.iitb.ac.in or websites of other IITs and Indian Institute of Science (IISc), Bangalore. Graduation in Geography/Science/Maths/Engineering/Computer Science from a recognized University/ Institution/Organization. Candidates with having successfully completed at least one recognized professional course in GIS will be preferred. Minimum 02 Year of Experience in GIS Operators, good knowledge of handing leading GIS s/w (Arc GIS, Map-Info, Geo-Media etc.) in real world conditions is essential. 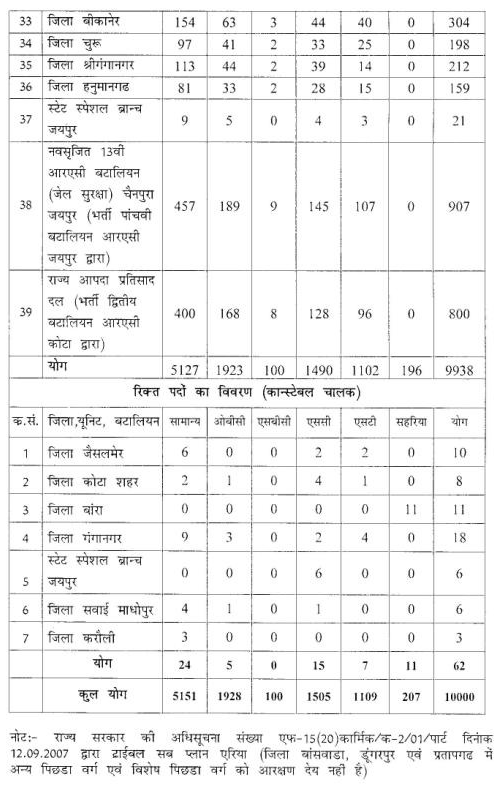 Remuneration (GIS Operator): Rs. 12000 /- ( Consolidated ) Per Month. MCA/ BE CS/IT /M.Sc. (CS)/ MSc(IT) with 2 Year of post educational experience of programming. Reference will be verified on selection. Essential : Sound knowledge of Microsoft Dot net, MS SQL SERVER 2005/2008, Must be able to write database driven desktop/web based application and web services using VB.NET/C# and ASP.NET, AJAX. Writing stored procedures and designing of relational database. Have worked in at least two MIS Project. Knowledge of Compact Framework 2.0 and developing Windows Mobile based applications. Desirable : GIS Programming on Arc Objects/Map Object. Experience in open source languages like PHP and Java will be added advantage. Remuneration (MIS Developers): Rs. 12000 /- ( Consolidated ) Per Month. Salary can be increased based on experience and skills. (iii) Computer knowledge in English and Hindi software(s). Should have completed 55 years and should not have completed 62 years (as on 01/09/2012). Selection will be based on evaluation of Hindi Typing/working in Computer and Personal Interview. 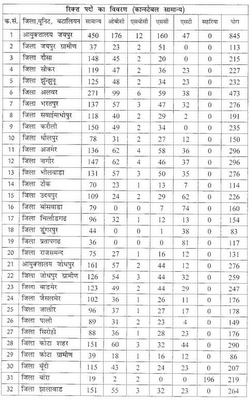 downloaded from our website (www.nlcindia.com). Certificates in the prescribed format. Job Location : Gandhinagar, Gujrat. EDUCATIONAL QUALIFICATION: A candidate must hold a Bachelor of Science Degree in Agriculture from any of the recognized Universities in India. Age Limit : 21To 32 Years. The selection of candidates for recruitment to the posts will be made on the basis of career marks and Viva Voce Test. The Commission at their discretion may short-list the candidates to a reasonable number for conducting viva voce test by making a preliminary selection on the basis of evaluation of their academic career taking into account the requisite minimum educational qualification. (1) ONLINE APPLICATION FORM WILL BE AVAILABLE TILL 18.10.2012 BY 11:59 P.M. Number of vacancies above may increase/decrease at the discretion of RVPNL, RVUNL & Discoms depending upon requirement and availability or non availability of vacancies due to one or another reason(s). No notification/corigendum shall be issued for any such change. Reservation for SC/ST/OBC/BC/SBC/PH/Female shall be as per rules. conducted on 18.11.2012. There shall be no interview.